Garnier is having a contest! It's the season for sun-kissed golden locks! 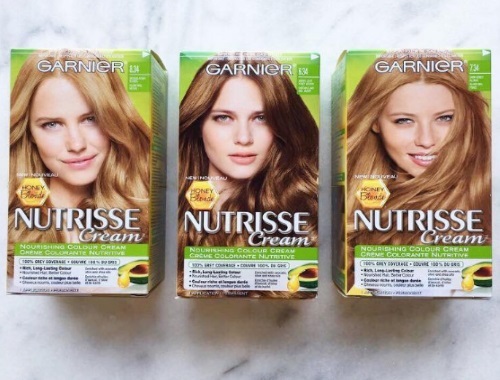 Introducing 3 new ultra luminous honey shades from Nutrisse: 8.34 Medium Honey Blonde, 7.34 Dark Honey Blonde & 6.34 Amber light honey brown. Vote for your favourite at the link below for a chance to win it! Canadian residents only. Contest closes July 22 at 8am EDT.